Riyadh (AFP) – Saudi women have mounted a rare protest against the abaya, posting pictures on social media wearing the obligatory body-shrouding robe inside out. The conservative petro-state has some of the world’s toughest restrictions on women, who are required to wear the typically all-black garment in public. Powerful Crown Prince Mohammed bin Salman in March said wearing the robe was not mandatory in Islam, but in practice nothing changed and no formal edict to that effect was issued. Using the hashtag “inside-out abaya”, dozens of women have posted pictures of flipped robes in a rare protest against the strict dress code. “Because #Saudi feminists are endlessly creative, they’ve come up with new form of protest,” activist Nora Abdulkarim tweeted this week. Another woman on Twitter said the online campaign, which appears to be gaining traction after it surfaced this week, was an act of “civil protest”. After his comment, prominent Muslim cleric Sheikh Ahmed bin Qassim al-Ghamdi added a new wrinkle to the debate when he dismissed the long-held view that black was the only colour for abayas permissible in Islam. 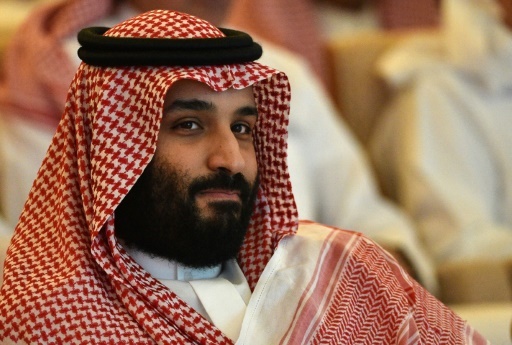 Prince Mohammed, currently facing global criticism over the murder of critic Jamal Khashoggi, has spearheaded a liberalisation drive in the conservative kingdom. In June, women celebrated taking the wheel for the first time in decades as the kingdom overturned the world’s only ban on female motorists. But in tandem with the reforms, the kingdom has seen a wave of arrests of women activists in recent months as it steps up a crack down on dissent. Featured Photo: AFP/File / FAYEZ NURELDINE. Saudi Arabia’s Crown Prince Mohammed bin Salman in March said wearing the robe was not mandatory in Islam, but in practice nothing changed and no formal edict to that effect was issued.